The Valentia Arts Festival is over for another year. And again a big thanks to all the organizers and volunteers for their hard work in putting on another successful event!!! Thanks June for bringing me a giant cup of Timmy's Tea! And thanks to everyone who attended, who stopped and chatted and who purchased cards and canvas prints! Going to be in the Valentia Arts Festival again this summer ... awesome crowd last year. 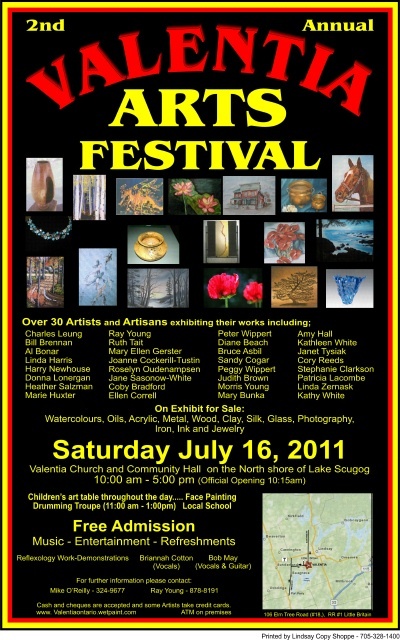 Mark your calendar for Saturday, July 16th, 2011. Don't miss it! (LINDSAY) There's something satisfying about being able to make something with your own hands, but, when it comes to baking, it can be a little daunting. Fortunately, local photographic artist Ruth Tait has an easy solution. pronounce all the ingredients (unlike cake-mixes) and it's pretty simple to put together." Combine flours, sugar, cocoa (sifted), and baking soda - stir to mix well. Add the buttermilk, water and vanilla extract at once, and stir just until moistened. Spray a 9"x13" pan with non-stick baking spray. Spread the batter evenly in the pan. Bake at 350F for 30 to 35 minutes or until a toothpick inserted in the centre of the cake comes out clean. Serve dusted with icing sugar or frosted with your favourite icing. Delicious with Kawartha Dairy ice cream. In the summer, top with fresh berries. This Week is publishing some of our readers' favourite recipes every other Thursday. If you wish to submit your favourite recipe, please contact reporter Catherine Whitnall at 324-8600 ext. 237 or e-mail cwhitnall@mykawartha.com. Couldn't believe the crowds that came out to this first time festival - but I suspect it won't be the last time. Thanks so much to: organizers Cathy Mark, Mike O'Reilly and Ray Young for all their work; the volunteers who were so helpful; the ladies in the kitchen who made sure everyone was fed; and all the visitors that stopped by my display to chat about my work. And a very special "thank you" to those of you who made purchases!!! 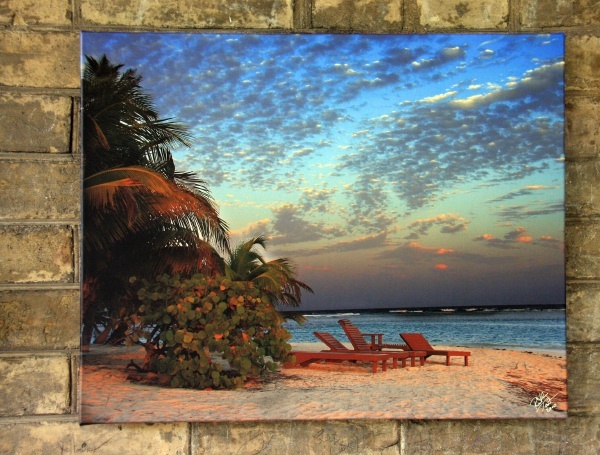 I hope you enjoy your canvases and other prints. (VALENTIA) There’s a first time for everything, and organizers of the Valentia Arts Festival are hoping the inaugural event, which takes place Saturday, July 17, won’t be the last. The festival features more than 30 artists, crafters and artisans and runs from 10 a.m. to 5 p.m. at the Valentia church and community hall. Art exhibited and for sale include paintings, metal and wood work, clay pottery, silk, glass, photography, iron works and jewelry. There will also be a children’s art table throughout the day along with entertainment by Ron Cross of Rhythm Connection, Briannah Cotton and master fiddler Jake Patrick. An interactive drumming workshop runs form 11 a.m. to noon. Lindsay-based photographer Ruth Tait was taking part in this year’s Rotanza when she was approached by long-time Valentia-area resident and festival organizer, Mike O’Reilly. Although she focuses on photography, Ms Tait actually entered the arts via her father, who was a talented painter. The two took classes together and she was later inspired to take courses through the Lindsay Gallery and the Haliburton School of Fine Arts. “I picked up bits and pieces from other and just kept learning as I’d go,” said Ms Tait. She still paints, but it’s the lens not the brush that captivates her most these days. Initially, Ms Tait expanded her camera skills in order to “take better photographs to paint.” The process was so enjoyable that filters and flash quickly took the place of easels and palettes. Much of her work revolves around flora and fauna, but she also enjoys shooting the exotic - thanks to a trip she took to Belize - as well as portraits. “I really like interacting with people. 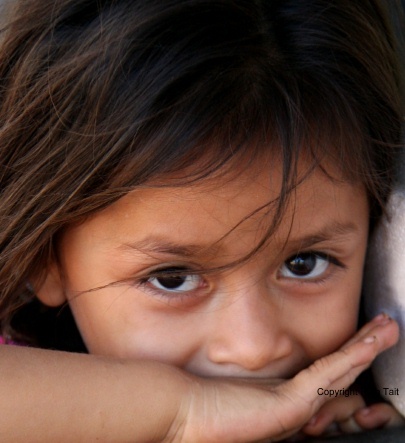 It’s neat to try to post the kids so you get the expression just right,” she said. 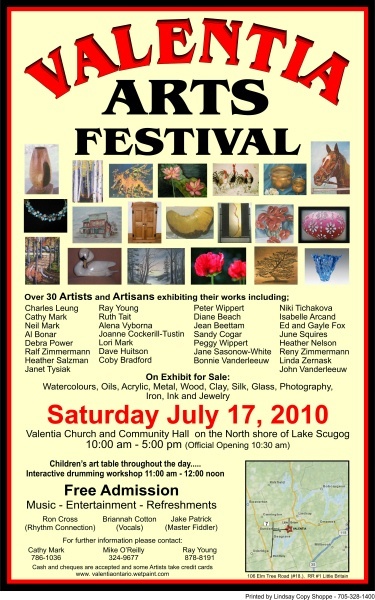 Admission to the Valentia Arts Festival is free. Refreshments are available. For more information visit www.valentiaontio.wetpaint.com. A number of my card buyers (and receivers) tell me they like to frame them to hang in those tiny wall spaces that need a spot of colour - or they purchase a few and make a little grouping. Please drop in to Galaxy Picture Frames, (130 Kent St. W. also in downtown Lindsay), where Sue is selling some that are matted and framed. The cards are available there as well. Ruth Tait Creations featured on photographer Mark Ridout's Blog!!! Thanks Mark for this awesome mention on your blog! After all this time of being "Mark inspired", how flattering for him to have been "Ruth inspired"
I have such awesome people in my life!!!! As a little extra promotion and thank you, I held a draw for 10 of my photo cards at each of the shows. The Garden Show winner was May Eddy and Chris Henley's name was drawn at Rotanza. Congratulations ladies - hope you enjoy the cards! Be sure and stop by my booth at Kawartha Lakes' very first Garden Show. I will be featuring my images of flowers and nature - with a variety of canvas prints, framed prints, matted prints and cards all available for sale. On Saturday, May 1st, I will be giving a workshop offering "Tips for Photographing Flowers". Bring along your little digital camera for this hands-on session. Join us as we celebrate gardening in the Kawartha Lakes. 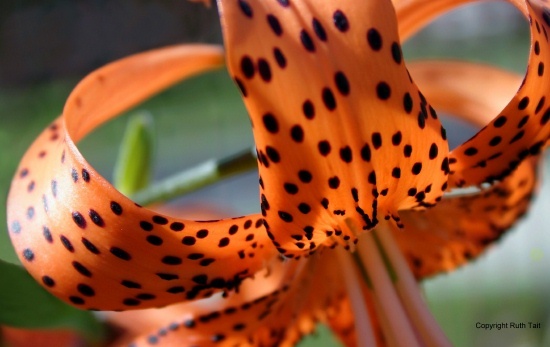 Rotary Club of Lindsay is launching a flower and garden show featuring local retailers, organizations and corporate suppliers. Workshops each day for the avid home gardener. Indoor and outdoor displays of horticultural interest, for both ornamental landscapes and food production. $10 pass includes Friday’s wine and cheese gala and 3-day show admission. $5.00 admission for Saturday and Sunday. Children under 12, free. Welcome May Day with Peterborough’s English Country dancers as we look forward to a new season of gardening. March Break 2010 - an afternoon of camera fun 4 kids!!!! Thanks to all the kids who attended for being so well behaved and excited about learning more about their cameras! What a great group! 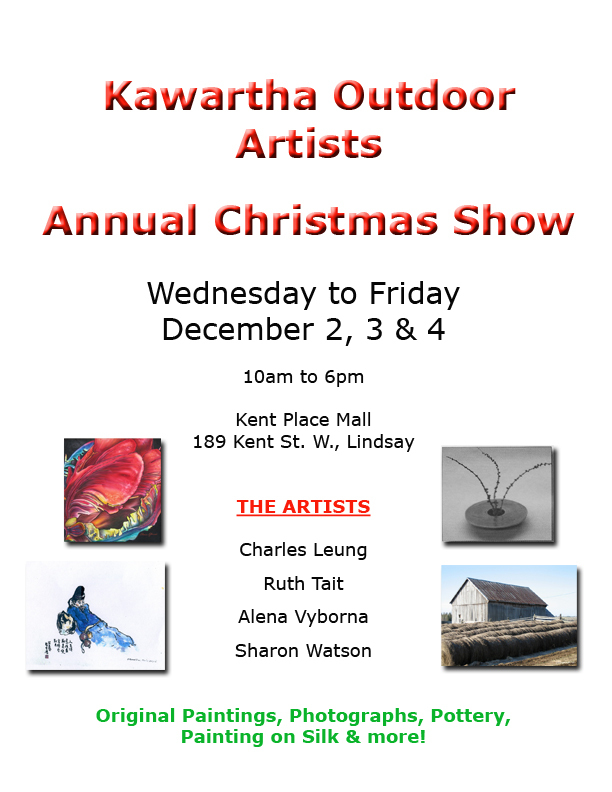 KAWARTHA OUTDOOR ARTISTS - ANNUAL CHRISTMAS SHOW & SALE - hope to see you there! As I mentioned, I was asked to take the photos of the women with the "men in uniform". The ladies lucked out and had the chance for a photo with not one, but two handsome men!!! A very special thanks to City of Kawartha Lakes Police Chief John Hagarty and City of Kawartha Lakes Fire Chief Dave Guilbault for being such great sports and getting into the spirit of the evening and making all the ladies smile ... which made my job even easier!!!! 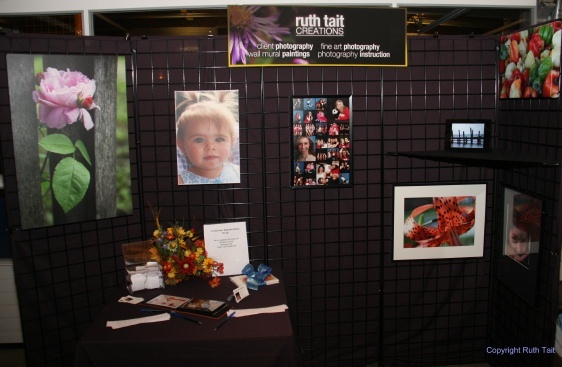 Below is a photo of my display booth at the Gala night. All the ladies seemed to be having a great time. I appreciated so many of you stopping by to say "hi" and entering the draw for an assortment of 10 of my photo note cards. The lucky winner was Allison Merritt of Lindsay! Even More Exciting Gala Night News!!! Now I'm not just an Exhibitor at the United Way Gala night ... yours truly will also be the photographer of the evening!! For a tiny fee, there will be the opportunity to have photos taken accompanied by some of our finest men in uniform from the Police and Fire Departments!!!!! Come on ladies - let's have some fun with this!!!! Photos will be taken from 6:00pm to 7:15pm, and then I'll be at my display booth - hope to see you there! Stop by and say Hello!!! I'm an Exhibitor! 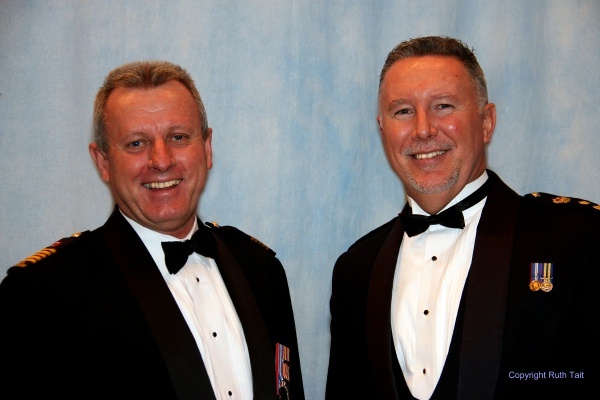 Don't miss the United Way for the City of Kawartha Lakes 3rd Annual Discovery Gala. This special night created just for women takes place on Thursday, October 29, 2009 at Fleming College in Lindsay. It's an evening of fun, friends and fashion. Enjoy culinary delights, sip champagne, listen to talented vocalists and musicians as exhibitors present their latest fashions, services and interactive demonstrations. Tickets on sale now for $50.00 at the United Way office. "It is truly exciting to see so many artists whose works show such a diverse range of talents. It was not easy to choose from such a wide variety of accomplished artists, but I hope you will enjoy the selection and accomplishments of the practitioners from this region. My congratulations to all the participating artists and award winners, and my sincere thanks to all those who took the time to submit entries to this wonderful project." This annual Juried Show exhibit showcases the variety and quality of the visual artists who are Gallery members and residents of the City of Kawartha Lakes and Haliburton County. I was honoured to have both my entries selected (please scroll down to view) and I appreciate The Lindsay Gallery offering this opportunity to area artists.